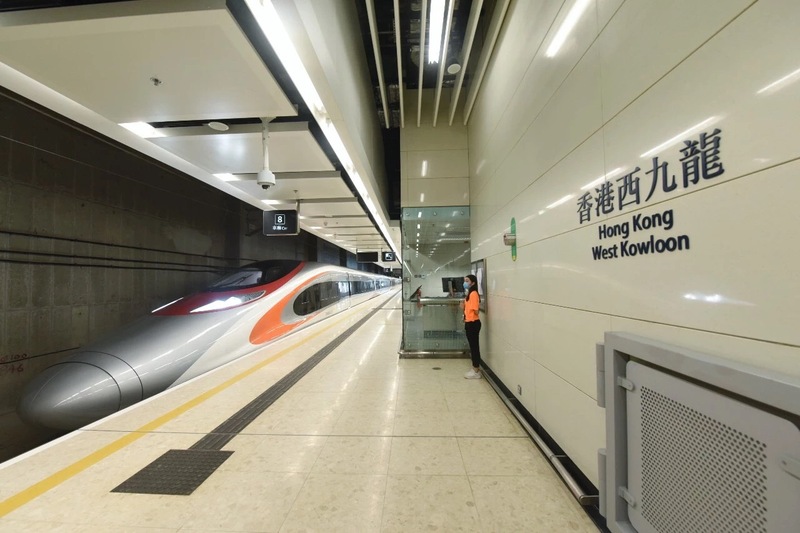 The newly operated High Speed Rail connects Hong Kong with 44 Mainland stations without interchange where you can experience the fastest cross-boundary land transport from Hong Kong for a hassle-free journey. 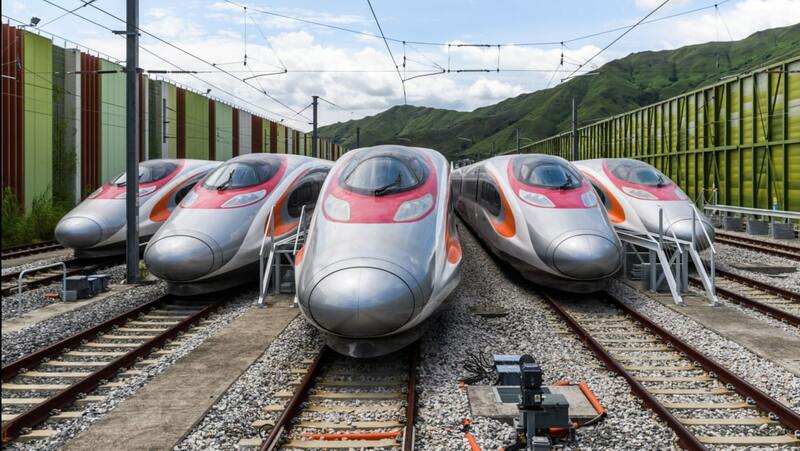 Gray Line Tours has been appointed as one of the ticket agent to reserve High Speed Rail ticket directly from the MTR system. It enhances our stronghold in providing an one stop service for all transportation needs to our guests. For short-haul train schedule, please click here. For long-haul train schedule, please click here. All tickets must be collected at Hong Kong West Kowloon Station no later than 45 minutes before train departure. Travellers’personal identity documents should be presented and verified for ticket purchase, ticket collection and other after-sales service. Please make sure you hold a valid visa to travel in mainland China. For tickets enquiries and reservation, please contact us by filing in the form below. Our colleague will contact you directly within 24 hours for query and ticket reservation. Vibrant Express has two classes of travel. First class has 68 seats, while second class has 511 seats. The direction of all seats can be adjusted in line with the direction of the train. Baggage racks are available above the seats. Each car also has racks for baggage. 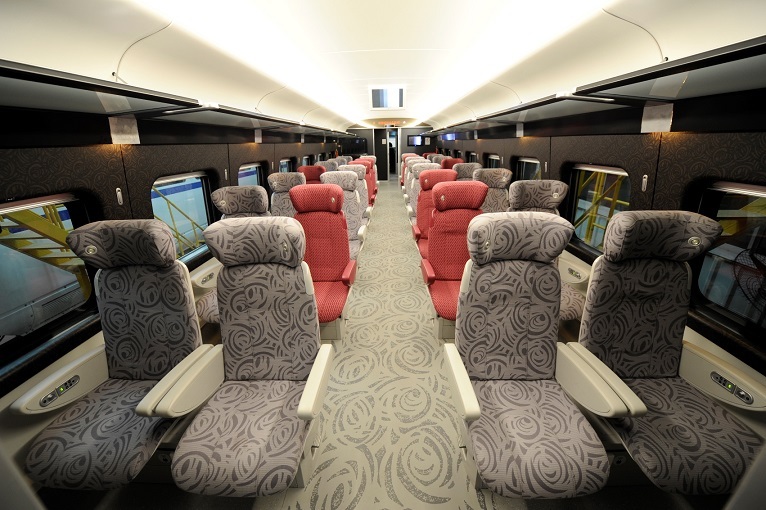 A total of 68 first class seats are available in the first and last cars. Featuring soft lighting, seats in silver grey with grey rose patterns and rose red, as well as rose patterns on the floor, the cars feel comfortable and look fashionable. A total of 511 second class seats are available in the cars located in the middle of the train. 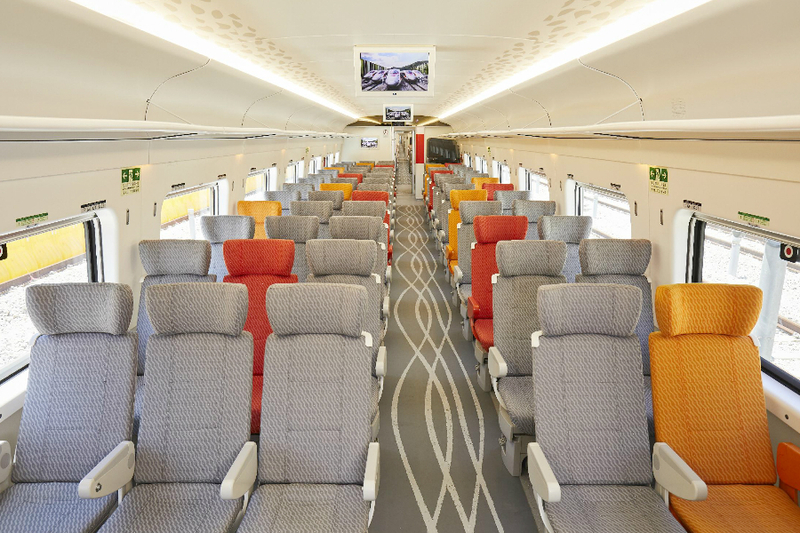 Featuring seats in light grey and different shades of orange, as well as a wavelike pattern on the floor, the cars feel bright and vibrant. Two wheelchair spaces are located in the seventh car.